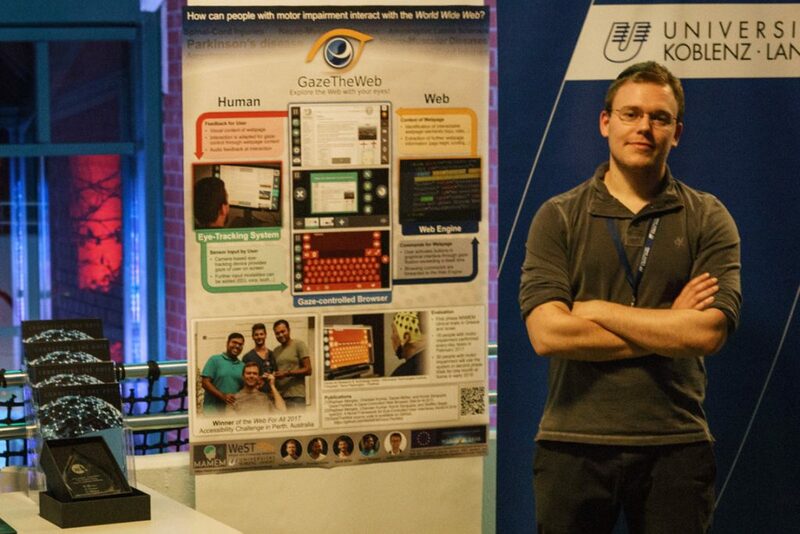 The gaze-controlled Web browsing system GazeTheWeb, which is developed as part of MAMEM, has been presented at “Nacht der Technik” of the Koblenz (Germany) Chamber of Crafts on the 4th November 2017. About 10.000 people visited the event and interested visitors could test a live demo including eye tracker interaction of our system. People were impressed by the idea to make the Web more accessible for motor impaired individuals and enjoyed the high usability of the system, which ran about 12 hours without any interruption. This shows the stability which is required for our second trial phase, where people from the target group will use the system for one month at their homes.